Brian from WelcomeHosting is back with a Spring Sale on KVM VPS’s in their new location. 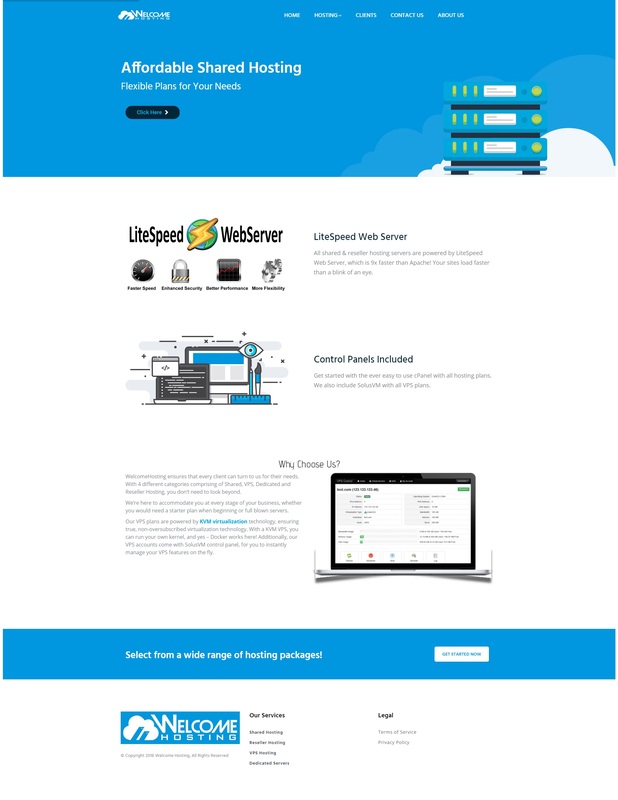 WelcomeHosting has been featured before on LowEndBox with very good reviews from users, so we are excited to feature their offers to you today. This is something new because they have recently expanded to Dallas, which is now available, in addition to their Los Angeles location. They are offering various different pricing structure options based on the plan, however, the most savings and value are to be had when choosing to pay using an annual billing cycle. For example, the 6GB KVM VPS is just $69/year when paid annually, instead of $9/mo! Their WHOIS is public, and you can find their ToS/Legal Docs here. They accept PayPal, VISA, MasterCard, American Express, Discover, Alipay, Bitcoin, Litecoin and Ethereum as payment methods. Nowadays, it seems like it’s almost impossible to find a hosting company that understands its customers by their first name, not just another number. What is one aspect about home that is found nowhere else? Feeling comfortable and welcome, and that is exactly the type of client experience we aspire to deliver here at WelcomeHosting. We offer plenty of different hosting solutions, and we’re always available to help you every step of the way. Welcome to a personalized and worry-free hosting experience! Would be interested in the Hong Kong VPS. When would it be available? The only location being offered in the shopping cart is Dallas–no LA to be found. Is the post incorrect or did they just misconfigure the offer? Dallas has only 1mb downstream. Useless.